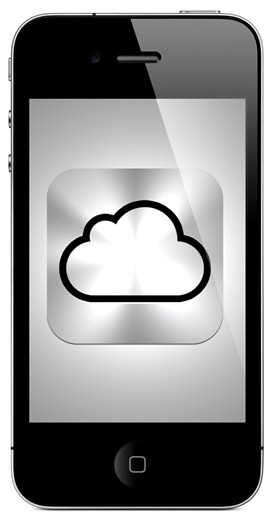 It has been a while since the once-rife rumor that a more reasonably-priced iPhone would also be landing along with the main iPhone 5, but as AppleNApps reports, the Cupertino outfit could also be plotting a second device which will focus less on storage capacity, and more on utilizing its iCloud’s services. It was Steve Jobs himself who introduced iCloud at the WWDC in June, superseding MobileMe and promising to allow all iDevices to synchronize in perfect harmony through cloud technology. The report claims to have latched onto some inside info from a variety of people “familiar with the matter”, with the purported lower tier device being referred to internally as the iCloud iPhone. The device is expected to make waves at a special event which will announce the device along with the main iPhone 5, which will be more of a “quality upgrade” and is expected to be thinner, lighter and faster than the iPhone 4, in line with recent reports. The iCloud iPhone could be priced as low as $400, the sort of price bracket you would pay for many of the alternatives on the market, while the iPhone 5 would be around $650, the normal cost of a new iPhone as it hits the market. In order keep production as inexpensive as possible, it is thought that Apple will use many of the internals of the iPhone 4 since they are readily available. The report also quashed rumors of a 4G-capable iPhone, as implementation of the first-generation LTE baseband processor and supporting chipset would mean the printed circuit board would have to be increased in size. This would have a knock-on effect on the size of the device, contrasting the thinner and lighter motif. The report is very plausible, and if true, will entice many of those who principally don’t want to spend a handsome amount of money on an iPhone, and certainly would throw down the gauntlet to the Android and WP7-based manufacturers. The new cheaper iPhone will follow a similar form factor to the MacBook Air range, with the iPhone 5 being the fully-featured device with all the bells and whistles you would expect. The fact that two different models are being produced is noted as the main reason why Apple hasn’t already launched the iPhone, which usually appears mid-year. If Apple did come through with two devices, which one would you purchase? And those of you that don’t agree with spending $650 on a phone, would you take the plunge and finally get an iPhone for $400?